Did someone say ComicCon? 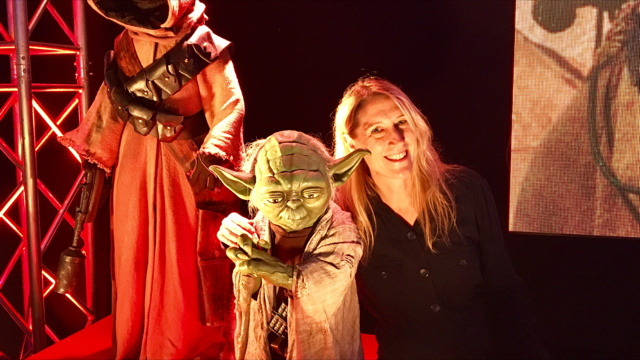 They did…and I was there. 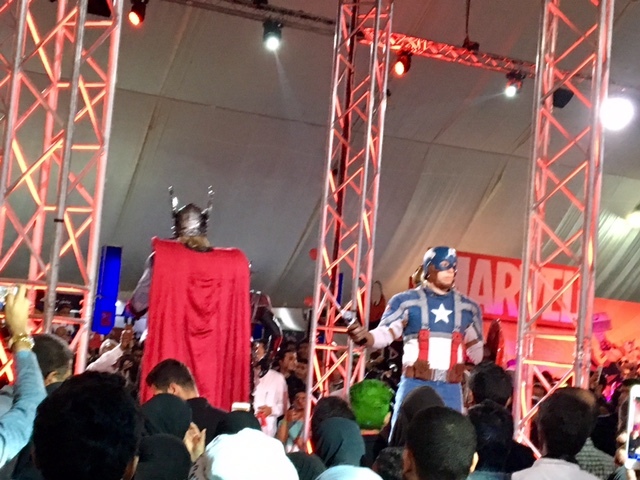 This past weekend marked the first ever ComicCon event in Saudi Arabia and it was pretty amazing. 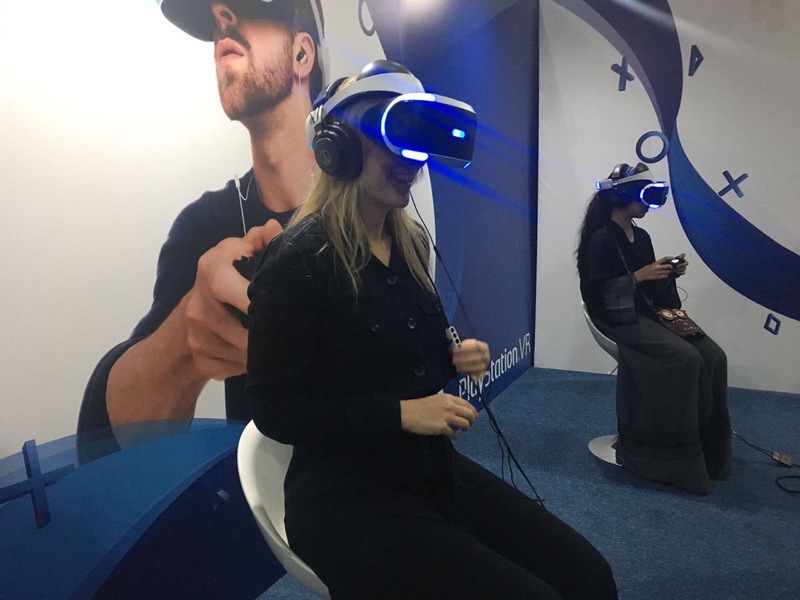 It took place in Jeddah and the guests included Charles Dance and Julian Glover from “Game of Thrones”, Giancarlo Esposito from “Breaking Bad” and one of the world’s best creepy baddie, Mads Mikkelsen. I admit I was surprised at the caliper of the guests who came all the way to Saudi for the inaugural event. 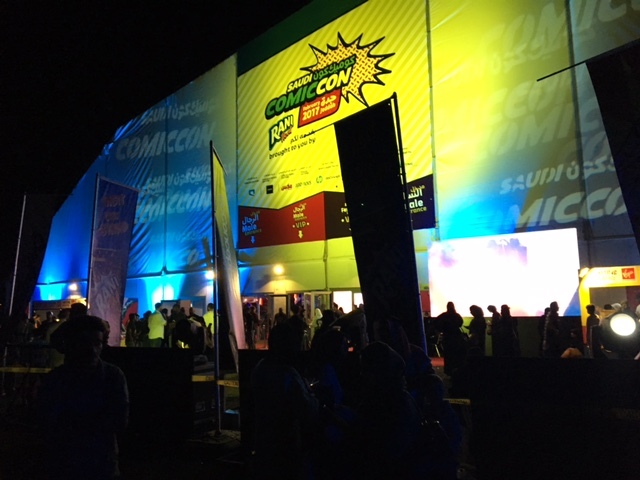 Saudi ComicCon was fairly small as far as ComicCons go, which also meant that it was really crowded inside the venue. I think the organizers underestimated how much the people here are into entertainment, gaming and fantasy. Plus, according to one guy running a video game booth, it was one of the few events where men and women could attend together. He said there are other gaming shows in the country, but they are for men only. That being said, even with the crowds, everyone was very respectful. There were separate lines for men and women as well as separate areas in the speakers’ area. The Cosplay area was also kept separate. Women could dress up and compete in the Cosplay contest, but only in a special female-only area – so they could still have fun without being photographed. Of course, you would see a few of the guys wandering around the exhibit hall in their superhero suits. The exhibits were also treated with respect. In the US, there would be no way that the Star Wars figures would be left unguarded for fear that someone would steal or damage them. No such case at Saudi ComicCon. People took photos with the life-size figures (including me), but that’s about it. Even though it was small, it had enough cool things going on to keep the curious people like me entertained for more than a few hours. With the success of this one, I’m sure the next Saudi ComicCon will be even bigger and more amazing.